We can’t think of a better place in America to be for July 4 but Malibu. Like the Hamptons of the west coast without the New York prep and glitz, plan to leave early for the BU before traffic ensues on the PCH (Pacific Coast Highway). Stumble upon endless beachfront parties with fireworks shooting from the water as the waves lull you out of your work routine. Pack a warm shawl or hoodie for the evening. If you can, stay the long weekend or even week to really absorb SoCal LA life. If you live in Los Angeles, it is the perfect escape. After eight years hopping around Malibu for July 4 weekend we’ve experienced some crazy memorable moments that we couldn’t even begin to make up. White parties at Nobu, Al Gore’s home with the Entourage crew, and even a white tiger on the beach while Victoria’s Secret models DJ-ed and party goers like Pauly Shore drank and danced in the sand bar around the home are seared into our memory. A violinist serenading guests while the red, white, and blue pool party revelry raged on in a glass house hanging off a cliff over the ocean are scenerios we couldn’t have even imagined growing up on the east coast. If you don’t have a luscious wave drooling house party invite or someone bringing you to the newly opened exclusive SoHo House Malibu, the long coastal stretch is also filled with numerous waterfront options for food, wine and relaxation. Look for public beach access spots. 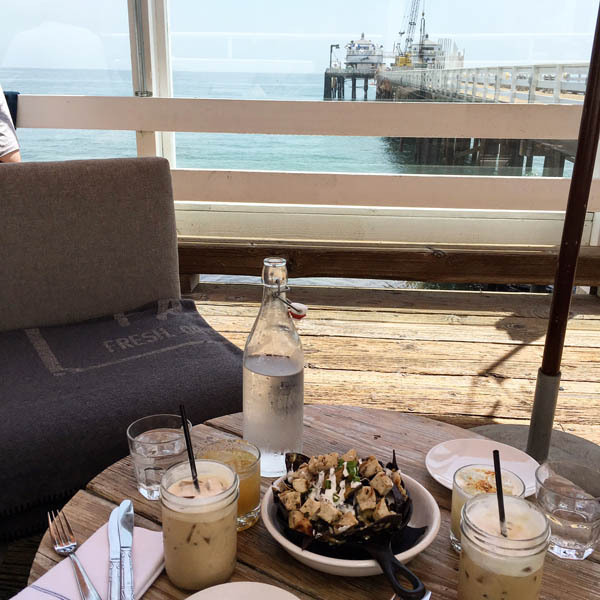 Gaze at the Malibu pier while you enjoy your chicken and waffles brunch or lobster roll from their small back terrace deck. Sip a mimosa from your oceanfront room and let the ocean air and rhythmic waves put you to sleep as the Pacific Ocean looks as if it reaches til the end of the world. After a $10 million dollar renovation, the 47 guest rooms all include an ocean view. As we arrived at night this quiet hotel situated off of Latigo Canyon Road felt like a fairytale woodsy dream as intimate fires burned and candles created a peaceful mood in the open air lobby and bar area. As we walked around the property chandeliers hung from trees and the stillness was intoxicating. The property is the perfect venue for a private event or to escape with a lover. Adjacent to Malibu Café and also the venue for many weddings we were told, find a cottage or bungalow that suits your fancy. For those who already live in Malibu, anyone can use the rustic pool for $14 a day. The Guest Ranch also offers yoga, spa, horseback riding, and whale watching experiences. Enjoy a facial, massage, haircut, waxing, lash tint, vitamin therapy, botox or one of their many specialized services or medical treatments with the best views in America. This uber white luxe sanctuary has an outdoor space for soaking it all in before, during or after treatments. 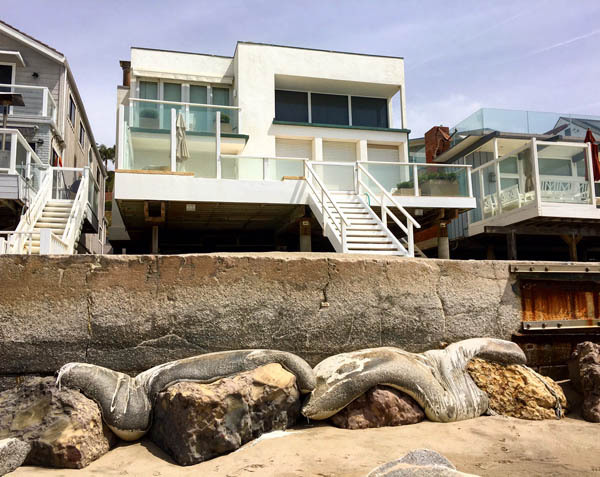 This second floor location overlooks Malibu Nobu and the ocean for miles. Founded by Dr. Lisa Benya, a well known Malibu doctor, the Cure Salon and Med Spa can also be found at Sunset Tower Hotel in Hollywood. 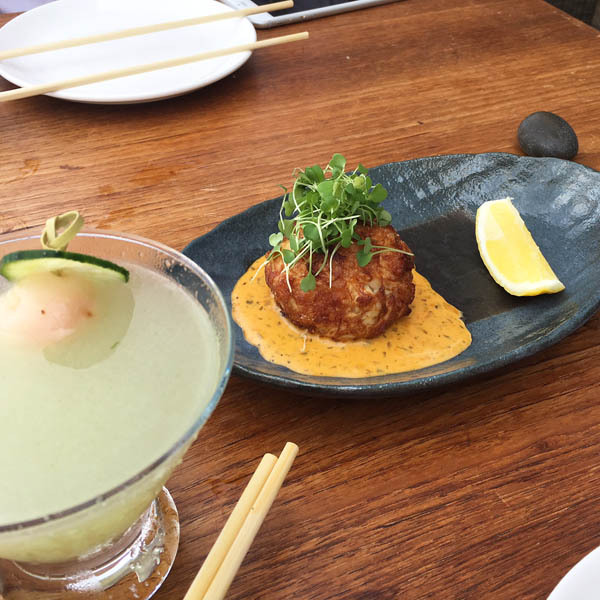 Sample mind blowing sushi bites at Nobu Malibu’s billion dollar ocean front views or book your brunch date weeks if not a month in advance. Sidle up to the bar if planning is not your style. Try their new brunch. Order the crab cake with uni bernaise sauce, the steak and eggs sous vide, or the cold lobster appetizer. Oogle the often bizarre and eclectic clientele that often shows up and know that a celebrity is close while you sip on your hot sake or mini mojito. 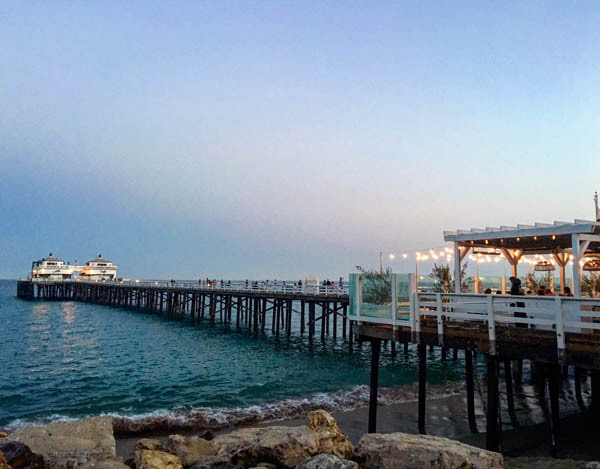 Skip the water views for Bui Sushi in the Malibu Colony Plaza. Enjoy the Malibu Sunset Roll with mango, tuna, salmon, avocado, mixed greens wrapped in soy paper with ginger honey sauce on top. 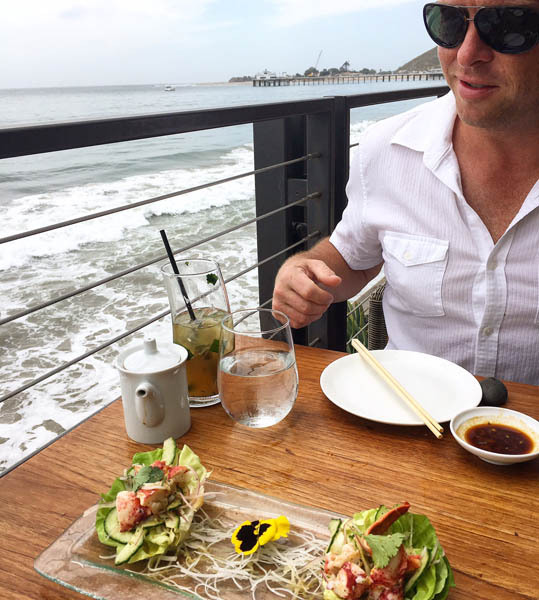 Sit at the bar to meet interesting Malibu locals who always encourage us to order the $9 Organic Mixed Green Salad with avocado, asparagus tips, enoki mushrooms and crispy onions with ginger dressing. Definitely a great start! We’ve spotted John McEnroe, Jeremy Piven, and Chris Martin all in this low-key restaurant. 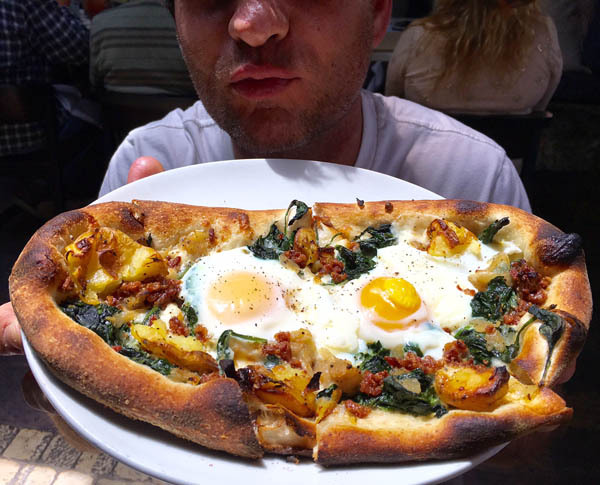 Near Bui Sushi is one of Malibu’s newest and best brunch spots, Ollo Restaurant & Bar. Once the casual dive-y Coogies, the new ownership has created an exceptional food menu which is a weekly staple for most Malibu residents. This farm to table dining showcases breakfast pizzettas, quinoa bowls, breakfast burritos and quesadillas, along with fresh juices. Order the crisp Burrata Pizza or Blackened Chicken Bowl for lunch or dinner. Laird Hamilton and family are regulars. You can even order Laird’s SuperFood NonDairy Creamer to give your coffee a boost. Mastros Ocean Club, once the Chart House, offers ocean views from every glass window angle. The seafood and sushi are succulent and fresh with shrimp as big as your hand. Their famous butter cake should rise high on your ordering list. A busy bar includes live performances piano side keeping the scene entertaining. However, July 4 often includes private parties where the Hollywood crowd takes over. 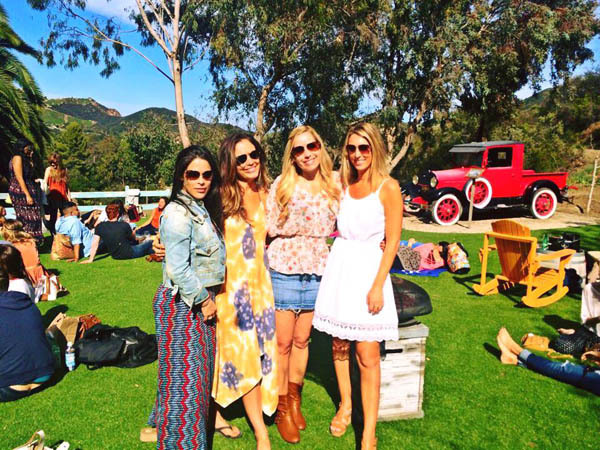 Malibu Farm on the pier always exceeds our expectations for views and food. Find a cozy cushioned spot where you just face the water, waves, and seagulls. Savor a cocktail like the Coconut (coconut infused rum, coconut agave, fresh pineapple juice) or the Smoke (Mezcal shishito, chipotle agave, lime juice) and start with the Malibu Blue Nachos. Their brunch menu offers a lobster burrito, sweet corn pancakes, and steak and eggs. For dinner, indulge in the grass fed beef burger or the spaghetti squash lasagna. Their more casual spot Malibu Pier Cafe is at the end of the pier where you can dine while watching the surfers ride waves. The rustic beach-y ambiance is the Cali version of the Surf Lodge in Montauk. Malibu Wines in the canyons has drastically changed since its beginnings where the grass has been replaced with turf, items are sold nearby, and live music weekends are the norm. Comedy nights, yoga and champagne events are now included in the line-up too. This place is perfect for a group of friends because you can bring in non-alcoholic beverages and picnic-style food while you purchase bottles of their wine. The place fills up fast because the canyon location is darling. Now they offer wine safaris, wine hikes, and even wine sailing. 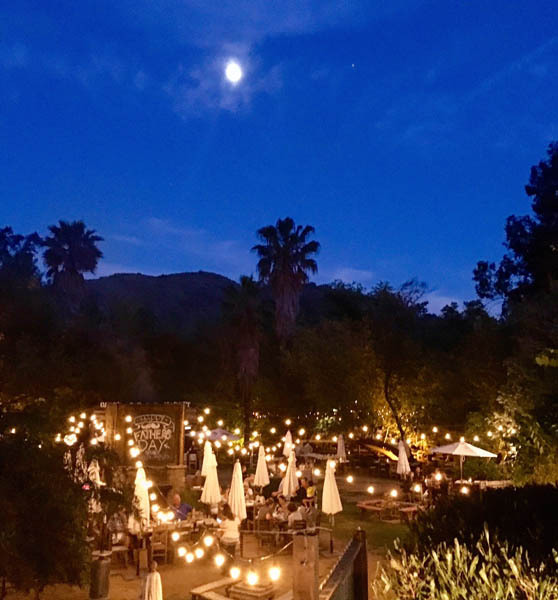 Rosenthal Wines has become a popular weekend hangout right on the PCH as fashion trucks, food trucks, and pop-up events have kept this backyard winery busy. Live bands keep the vino flowing and dancing going. 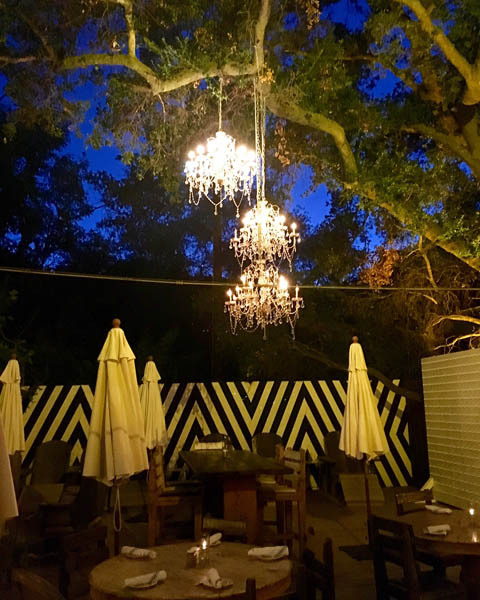 Malibu Café at Calamigos Ranch is an enchanting oasis at night. Their attention to detail includes beautifully placed lights, tree hanging chandeliers, rustic couches, pool tables and ping pong all outside. 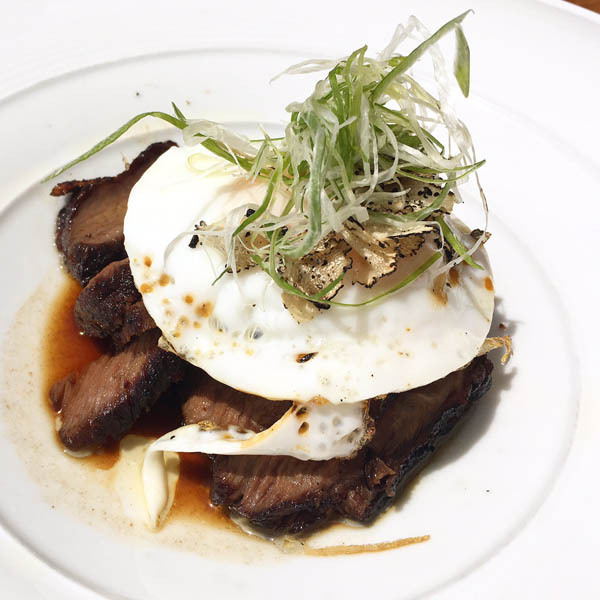 Expect noveau Barbeque and signature dishes created generations ago with a California twist. Go for the PBR Mussels, Roasted Beer Can Chicken, and Country Mash. Café Habana is the place to be on Wednesday nights for some serious pro karaoke with a liberated cocktail environment. The bar area becomes packed with a wild crowd of all ages, locals, celebs, and everyone looking to let loose and dance their worries away. Last time Cuba Gooding Jr. along with Cisco Adler’s wife were trying out their vocal cords. Stay for the people watching. Order the Cuban corn. 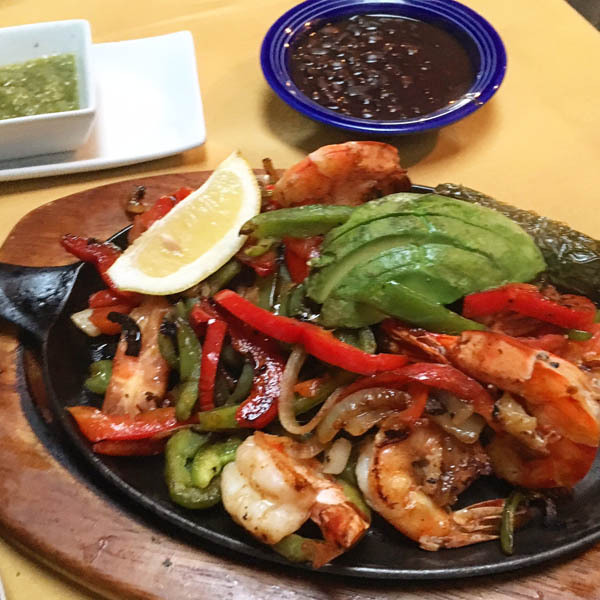 For Mexican food, Casa Escobar in the old school Malibu Inn across from the Malibu pier is the best place for margaritas and fresh large shrimp quesadillas or fajitas. Taco Tuesdays include $1.50 beef, chicken, or veggie tacos. Happy Hour drink specials and menu items occur daily. For huge breakfast burritos, call ahead and drive to Lilly’s Café in the Point Dume Plaza Shopping Center. Far down the PCH is a local seafood shack with shareable tables. 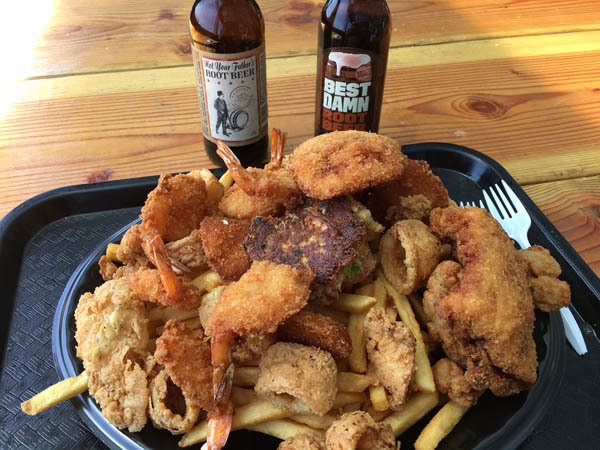 Enjoy fish tacos, clam chowder, or the fried seafood coma basket at Neptune’s Net often filled with bikers and families. Lines can be long, so avoid weekends. Paradise Cove, a beach cove, is one of the only places to eat and drink with your feet in the sand, but avoid weekends and be prepared for a large parking fee, which can often be added to your bill. We like walking down the beach to find a quieter beach area, but this can be a lovely weekday spot to show out of town guests. To grab delicious sandwiches, sides, and desserts, wait in a short line to get your beach goodies to-go at the Malibu Kitchen at Cross Creek Mall.